Surrey County Council has welcomed a £3.8m Government boost towards its £23m repair bill to fix flood-damaged roads. The council has already fixed 36,000 potholes this year after the winter floods, and this extra Government cash would cover the cost of fixing another 78,000. Last month Surrey announced its £23m action plan to repair flood-damaged roads, which has already received a £5.3m Government contribution. As the news of the Government cash was confirmed, Surrey unveiled a list of the 300 miles of road being repaired first under its flood-damaged road repair blitz. 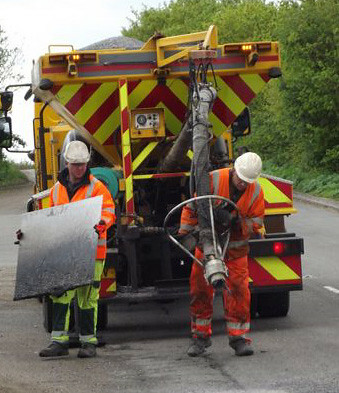 John Furey, Surrey County Council’s Cabinet Member for Highways and Flooding Recovery, said: “We’re doing everything we can to put things right for Surrey residents, and we’re grateful for this Government contribution towards our £23m repairs to flood-damaged roads.